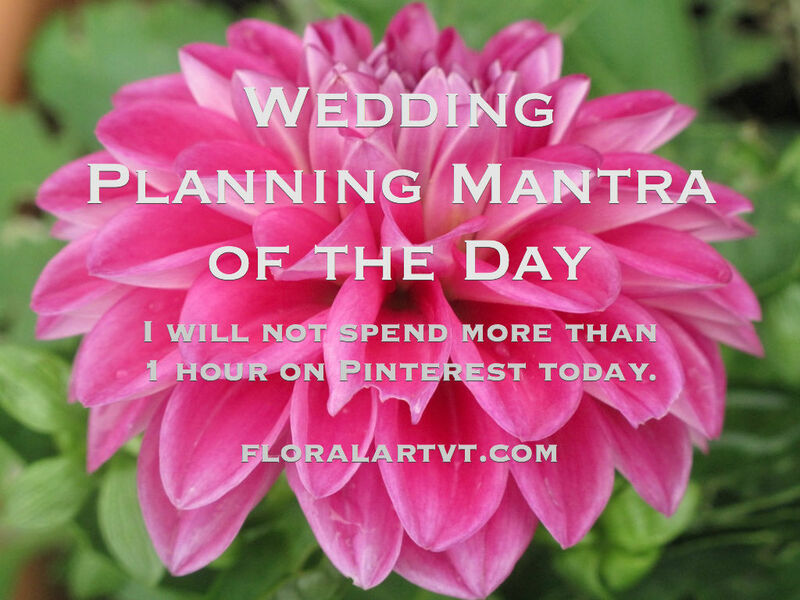 Planning a wedding can be a big job. For some it is just a matter of pulling together vendors to acheive a look that you’ve been dreaming of for years, but for others it can be a daunting task with endless options and questions. Oftentimes the bride is in the driver’s seat in regards to planning and the groom will step in when asked for input, but I think it is essential for both parties to be involved to some degree. A quick tip: If you ask for your partner’s opinion you just may get it! Don’t ask unless you really care. I have had many a consultation with a couple where the groom is asked by the bride, “what do you think of these flowers”, and he quite frankly has no opinion. On the other hand I have had consultations where the groom expresses his dislike for pink rose boutonnieres or mentions that a certain flower would be nice to have in the centerpieces. Making decisions as a couple can be a way to bond over the planning details and is an opportunity to work together as a couple. You and your partner may have opinions you didn’t even know you had! For those who are having trouble finding elements of the planning that your partner “cares about” you should consider handing over certain details so there is some ownership. Perhaps selecting the music, the photographer or the menu is something that is easier to get involved with than selecting linens, china and decor. My husband had an opinion about our napkin colors–who knew! No matter what your style is as a couple it is so much nicer to tackle the planning together as the partners you are than to charge forward on your own. This day is about celebrating both of you. Happy planning!